You Will Charge From This Number But You Can Call From Any Mobile Networks. Different Numbers Is For Different States. Airtel Paid Customer Care Number 98100-12345. MTNL Paid Customer Care Customer Care 98681-12345. Idea Paid Customer Care Number 98910-12345. Reliance Paid Customer Care Number 3033-3333. Tata Indicom Paid Customer Care Number 92100-08282. Vodafone Paid Customer Care Number 98110-98110. Tata Docomo Paid Customer Care Number – 90320-12345. Airtel Paid Customer Care Number for Andaman & Nicobar 99330-12345. BSNL Paid Customer Care Number for Andaman & Nicobar 94000-24365. Reliance Paid Customer Care Number for Andaman & Nicobar 3033-3333. Andhra Pradesh Airtel Paid Customer Care Number 98490-12345. Idea Paid Customer Care Number for Andaman & Nicobar 98480-12345. Tata Indicom Paid Customer Care Number for Andaman & Nicobar 92460-08282. Vodafone Paid Customer Care Number for Andaman & Nicobar 98850-98850. Airtel Paid Customer Care for Assam 99540-12345. Aircel Paid Customer Care for Assam 98540-12345. BSNL Paid Customer Care for Assam 94000-24365. Reliance Customer Care (GSM) 98640-98640. Stel Paid Customer Care for Assam 9127012345 or 1212. Airtel Customer Care Bihar/ Jharkhand 99340-12345. Aircel Customer Care Bihar/ Jharkhand 98520-12345. BSNL Customer Care Bihar/ Jharkhand 94000-24365. Reliance Customer Care (GSM) Bihar/ Jharkhand 98350-98350. Reliance Customer Care Bihar/ Jharkhand 3033-3333. Tata Indicom Customer Care Bihar/ Jharkhand 92340-08282. Tata Docomo Customer Care Bihar/ Jharkhand 90310-12345. Stel Bihar/ Jharkhand – 9128012345 or 1212. Gujarat Customer Care Number of Airtel 98980-12345. Gujarat BSNL Customer Care Number 94000-24365. Idea Customer Care number Gujarat 98240-12345. Reliance Customer Care number Gujarat 3033-3333. Tata Indicom Customer Care number 92270-08282. Vodafone Customer Care number 98250-98250. Tata Docomo Customer Care number- 90330-12345. Airtel Customer Care number for haryana 98960-12345. BSNL Customer Care number for haryana 94000-24365. Idea Customer Care number for haryana 98120-12345. Reliance Customer Care number for haryana 3033-3333. Tata Indicom Customer Care number for haryana 92540-08282. Vodafone Customer Care number for haryana 98130-98130. Tata Docomo Customer Care number for haryana- 90340-12345. Videocon Customer Care number for haryana 9068012345 and 121. Himachal Pradesh Airtel Customer Care 98160-12345. Himachal Pradesh Aircel Customer Care 98570-12345. Himachal Pradesh BSNL Customer Care 94000-24365. Himachal Pradesh Idea Customer Care 98820-12345. Himachal Pradesh Reliance Customer Care (GSM) 98170-98170. Himachal Pradesh Reliance Customer Care 3033-3333. Himachal Pradesh Tata Indicom Customer Care 92180-08282. Himachal Pradesh Tata Docomo Customer Care- 90350-12345. Himachal Pradesh Stel Customer care – 9129012345 or 1212. Jammu Kashmir Airtel Customer Care 99060-12345. Jammu Kashmir Aircel Customer Care 98580-12345. Jammu Kashmir BSNL Customer Care 94000-24365. Jammu Kashmir Reliance Customer Care 3033-3333. Jammu Kashmir Stel – 9130012345 or 1212. BSNL Helpline Customer Care 94000-24365. Reliance Helpline Customer Care 3033-3333. Vodafone Helpline Customer Care 98860-98860. Tata Docomo Helpline Customer Care- 90360-12345. Airtel Customer Care Kerala state (1800) 98950-12345. BSNL Customer Care Kerala state 94000-24365. Idea Customer Care Kerala state 98470-12345. Reliance Customer Care Kerala state 3033-3333. Tata Indicom Customer Care Kerala state 92490-08282. Vodafone Customer Care (BPL) Kerala state 98460-98460. Tata Docomo Customer Care Kerala state 90370-12345. & Chattisgarh BSNL Customer Care94000-24365. Airtel Customer Care– Rest of Maharashtra 98900-12345. Airtel Customer Care– Mumbai 98920-12345. BSNL Customer Care – Rest of Maharashtra 94000-24365. Idea Customer Care – Mumbai 97020-12345. Idea Customer Care – Rest of Maharashtra 98220-12345. MTNL Customer Care – Mumbai 98690-12345. Reliance Customer Care – Rest of Maharashtra 3033-3333. Reliance Customer Care – Mumbai 3033-3333. Tata Indicom Customer Care – Rest of Maharashtra 92250-08282. Tata Indicom Customer Care – Mumbai 92200-08282. Tata Docomo Customer Care- 90280-00121. Vodafone Customer Care – Rest of Maharashtra 98230-98230. Vodafone Customer Care – Mumbai 98200-98200. MTS – 9146125125 or 125125. Reliance Customer Care (GSM) 98630-98630. Stel – 9131012345 or 1212. Reliance Customer Care (GSM) 98610-98610. Tata Indicom Customer Care 92380-08282. Tata Docomo Customer Care- 90400-12345. Stel – 9132012345 or 1212. Tata Docomo Customer Care- 90410-12345. Videocon Customer Care 9653012345 and 121. Tata Indicom Customer Care 92140-08282. Tata Docomo Customer Care- 90420-12345. Airtel Customer Care– Rest of Tamil Nadu 98940-12345. Airtel Customer Care– Chennai 98400-12345. Aircel Customer Care Customer Care – Rest of Tamil Nadu 98420-12345. Aircel Customer Care – Chennai 98410-12345. BSNL Customer Care – Rest of Tamil Nadu 94000-24365. BSNL Customer Care – Chennai 94000-24365. Reliance Customer Care – Rest of Tamil Nadu 3033-3333. Reliance Customer Care – Chennai 3033-3333. Tata Indicom Customer Care – Rest of Tamil Nadu 92400-08282. Tata Indicom Customer Care – Chennai 92400-08282. Vodafone Customer Care – Rest of Tamil Nadu 98430-98430. Videocon Customer Care – 121 and 90800-12345. Tata Docomo Customer Care- 9043 0-12345. Airtel Customer Care number 99350-12345. BSNL Customer Care number 94000-24365. Idea Customer Care number 98890-12345. Reliance Customer Care number 3033-3333. Tata Indicom Customer Care number 92350-08282. Vodafone Customer Care number 98390-98390. Tata Docomo Customer Care number 90440-12345. Airtel Customer Care number 98970-12345. & Uttarkhand BSNL Customer Care number 94000-24365. Idea Customer Care number 98370-12345. Tata Indicom Customer Care number 92190-08282. Vodafone Customer Care number 97190-97190. Tata Docomo Customer Care number 90450-12345. Airtel Customer Care — Kolkata 98310-12345. Airtel Customer Care Number ~ Rest of Bengal 99330-12345. Aircel Customer Care ~ Kolkata 98040-12345. Aircel Customer Care ~ Rest of Bengal 98510-12345. BSNL Customer Care ~ Kolkata 98830-98830. BSNL Customer Care ~ Rest of Bengal 94000-24365. Reliance Customer Care (GSM) ~ Kolkata 98830-98830. Reliance Customer Care (GSM) ~ Rest of Bengal 98320-98320. Tata Indicom Customer Care ~ Kolkata 92310-08282. Tata Indicom Customer Care ~ Rest of Bengal 92330-08282. Vodafone Customer Care Number ~ Kolkata 98300-98300. Vodafone Customer Care Number ~ Rest of Bengal 97320-97320. Toll free Videocon Dth Customer Care Number ~ 073558 73558. Toll free TataSky Customer Care Number ~ 1860 208 6633. Toll free Airtel dth Digital tv Customer care Number ~ 020 4018 1400. Toll free Sun Direct Customer Care Number ~ 1800 200 7575. 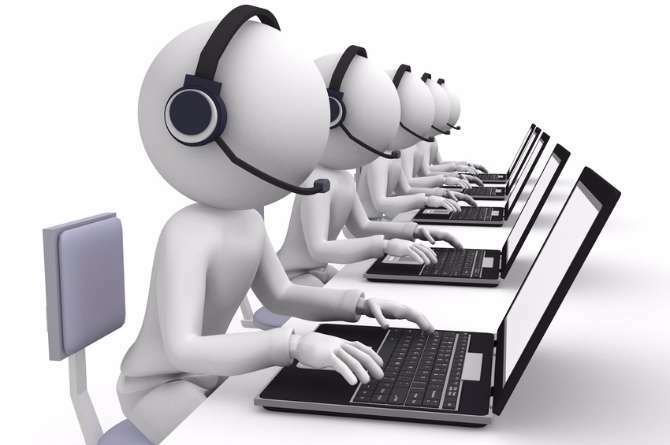 Toll free DD Free Dish Customer Care Number ~ 011 2338 3348. Toll free Dish TV Customer care Number ~ 0120 255 0000. Toll free Reliance digital tv/Bigtv Customer Care Number ~ 1800 200 9001.